Eastern Wyoming College art majors Jessica Payne, Lingle, WY, and Emily Scoles, Biddle, MT have art featured in an exhibition currently on display at the College in Torrington, Wyoming. Each has 10 pieces of their art on display in the Fine Arts Lobby until November 27. An artist talk and reception will take place on November 19 at 2:00 p.m.
Payne began her love of art at the age of 16. She enjoys painting, drawing, charcoal, photography, oil and acrylic. Upon completion of her degree, she hopes to transfer on to earn a four-year degree. She gathers much of her inspiration from her husband and kids. Scoles was first introduced to art at a young age by her mother. Drawing and sketching has always been very calming for her and she is interested in bronze and sculpture. Her favorite mediums are graphite and charcoal. This art exhibition is free and open to the public and may be viewed Monday – Friday during normal business hours. For more information, please contact Art Instructor Daniel Fielder at 307.532.8291 ordaniel.fielder@ewc.wy.edu. Eastern Wyoming College, in conjunction with the Wyoming Humanities Council and the Wyoming Department of Health, welcomes all area citizens to participate in a new film discussion series entitled Faces of Addiction. Through the use of film and dialogue, this free, four-part series will allow people to explore and address the challenges of addiction. The film series will be presented once a week for four consecutive weeks beginning October 29, 2009. 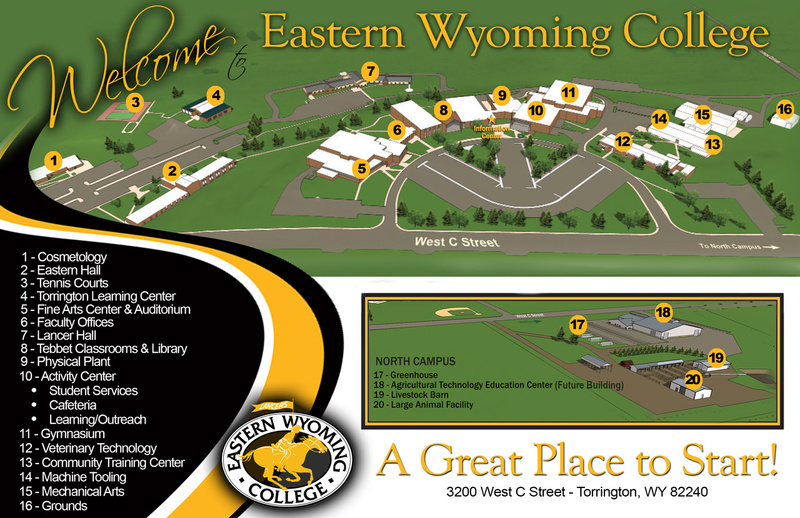 Each program will take place on a Thursday evening at 6:30 p.m. in the Board Room, #274, at Eastern Wyoming College, Torrington, Wyoming. A free light dinner will be provided for program participants. The series includes four films: Enron: The Smartest Guys in the Room (not rated) – presented October 29; Blow (rated R) – presented November 5; Maxed Out (not rated) – presented November 12; and Hello, My Name is Bill W (not rated) – presented November 19. The first three films examine types of addiction including addiction to financial risk and trading on Wall Street (power and greed); alcohol/drugs; and consumerism/gambling – all from different perspectives. The final film in the series, Hello, My Name is Bill W, explores recovery from addiction. Through the personal life stories depicted in these films, the audience will witness the experience of addiction when someone’s life is taken over by something more powerful than he or she is. Following each film, program facilitators Dr. Rick Patterson, EWC Division Chair/Criminal Justice Instructor and Licensed Addictions Therapist, and Wayne Deahl, EWC English Instructor, will facilitate a discussion on how the media and society influence and portray our views and abilities to cope with and respond to addiction. The series provides excellent opportunities for reflection and discussion, in a balanced and respectful forum, about topics that affect Wyoming communities. The Faces of Addiction film series is sponsored by the Wyoming Humanities Council in partnership with the Wyoming Department of Health – Division of Mental Health and Substance Abuse, and Eastern Wyoming College, with support from the following area community agencies: Peak Wellness Center, Community Hospital, New Hope, Goshen County Family Violence Program, and Goshen County Public Health. The program is also funded, in part, by the We the People Initiative of the National Endowment for the Humanities. For more information and/or to register for the Faces of Addiction film/discussion series, please call Anne Gardetto at 307.532.8328. Dr. Dee Ludwig, Vice President for Institutional Effectiveness at Eastern Wyoming College has been selected by a national review panel as one of only 33 community college leaders to attend the prestigious Executive Leadership Institute sponsored by the League for Innovation in the Community College. The 33 participants hold senior-level leadership positions in community colleges throughout the United States, Canada, and New Zealand. The institute, to be held in Scottsdale, Arizona, December 6-11, 2009, provides an opportunity for potential community college presidents or those in transition to review their abilities and interests, to refine their skills, and to participate in discussions on leadership with an outstanding array of faculty drawn from among nationally and internationally recognized community college leaders. These include community college chief executive officers, experts in leadership development, community college trustees, presidential search consultants, members of the League for Innovation board of directors, and other prominent figures. This is the Executive Leadership Institute’s twenty-second year preparing senior-level community college administrators to successfully fill the presidential role. The League is an international association dedicated since 1968 to catalyzing the community college movement. The League hosts conferences and institutes, develops web resources, conducts research, produces publications, provides services, and leads projects and initiatives with member colleges, corporate partners, and other agencies in a continuing effort to make a positive difference for students and communities. The Eastern Wyoming College Livestock Judging team has been very busy the last few weeks. The team participated at the National Barrow Show in Austin, Minnesota and the Mid America Livestock Classic in Wichita, Kansas. At the Mid America Livestock Classic the team place 8th Overall and Tyler Braisted from Wheatland, WY placed 6th in the Cattle Division and 10th Overall. The Eastern Wyoming College Livestock Judging Team Members participating this fall are Tyler Braisted, Wheatland, WY; Kevin Kellogg, Laramie, WY; Rustin Roth, Torrington, WY; Calli Stone, Riverton, WY; and Sam Zalesky, Durango, CO.